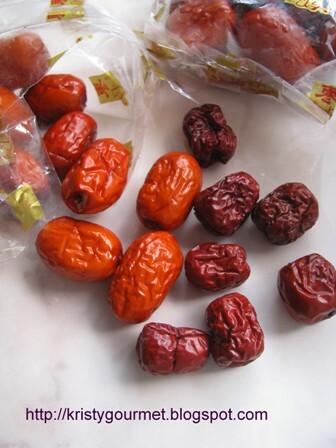 Chinese Red dates is one of the most popular food used for health over in Asia. 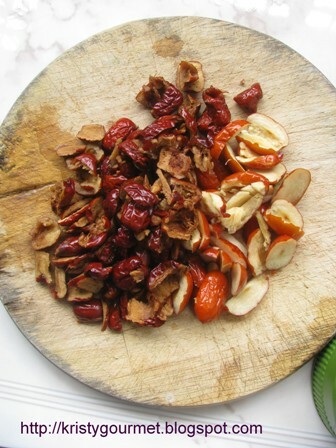 According to the Chinese medicine book, red dates can strengthen the 'Qi' in our body to help in many ways especially improving insomnia and blood deficiency, to protect the liver, reduce cholesterol & to prevent cancer. Meanwhile, longan is considered as 'warm' food which is good for both heart & kidney. So when these two items combined, it will helps to revitalize our health wellness. Longan & red date paste is getting very popular in Chinese and Taiwan these days. They are widely used in making tea either in hot or cold. It is extremely good for post-natal mothers too for replenishing the blood after giving birth. So, what do I waiting for ! As you can see here, I have two kinds of red dates. One is in lighter colour which look really fresh and the other one is darker. Actually, they both the same except in different processing stage. However, the darker ones are sweeter and its more fragrant compare to the other ones. (1) rinsed both longan & preserved red dates then soaked them separately in a bowl with warm water for 2 hours. (2) when ready, drained the red dates then cut them into small pieces. 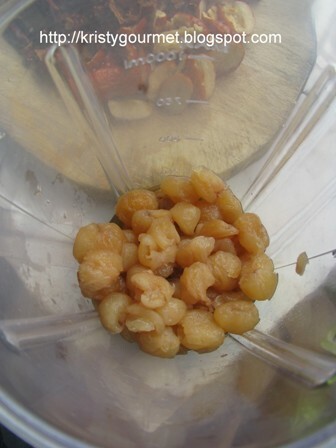 (3) place the soaked longan with the remaining water into a blender and also add in the red dates. Puree everything into nice smooth paste. 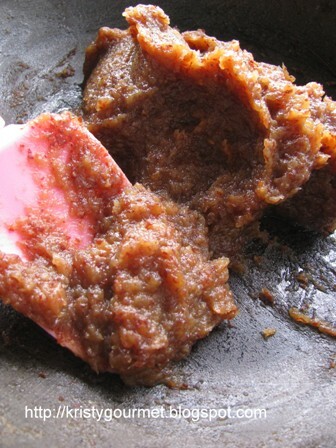 Finally, cook over medium heat with a non-stick pan till became thick paste. 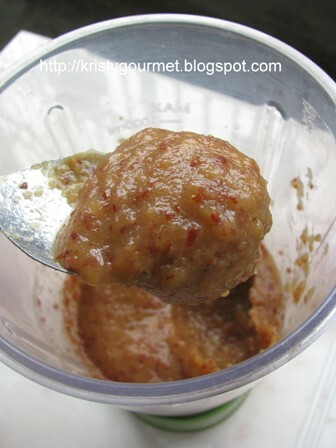 Keep the paste into clean glass jar and store in the refrigerator as long as you want.